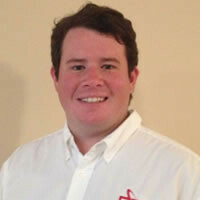 Chris Anderson is a Safety and Environmental Engineer at Ferguson Risk Management, LLC. Chris holds a Bachelor of Science degree – Environmental Science in Environmental Economics and Management from The University of Georgia. Chris’ experience in the environmental, health, and safety field includes regulatory compliance assistance for a metro-Atlanta watershed management department, data collection and analysis for natural resource policy development in Georgia and Idaho, and research and sampling collection of environmental aspects at the Savannah River Nuclear Site. Chris has used this background to develop into a role of technical support and a research resource for environmental, health and safety matters for our clients. He also conducts field audits and operations for designated environmental, health, and safety projects. Chris joined FRM in June 2013.